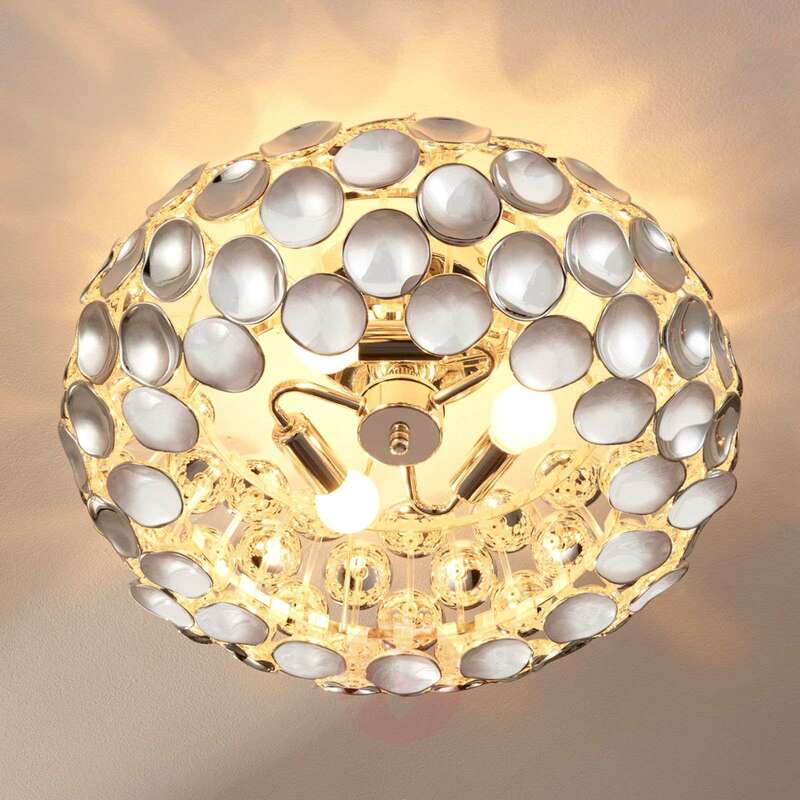 Reza has a certain je ne sais quoi. 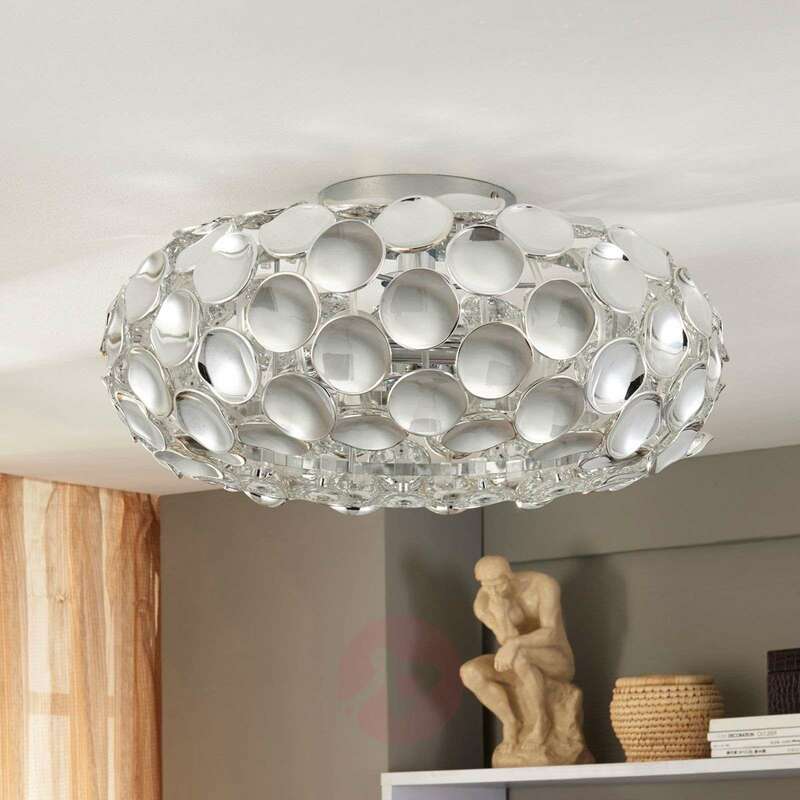 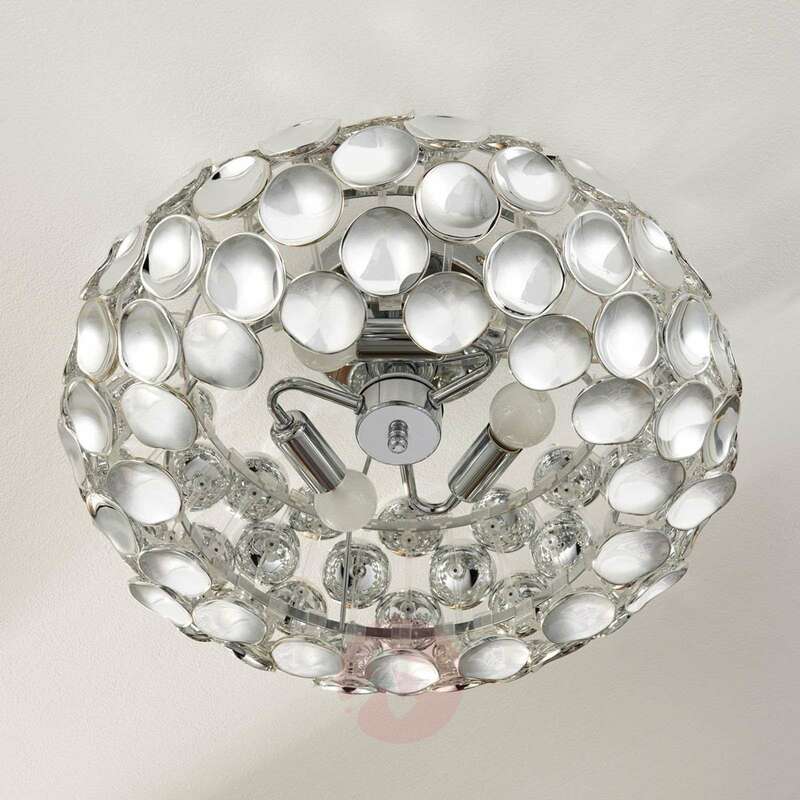 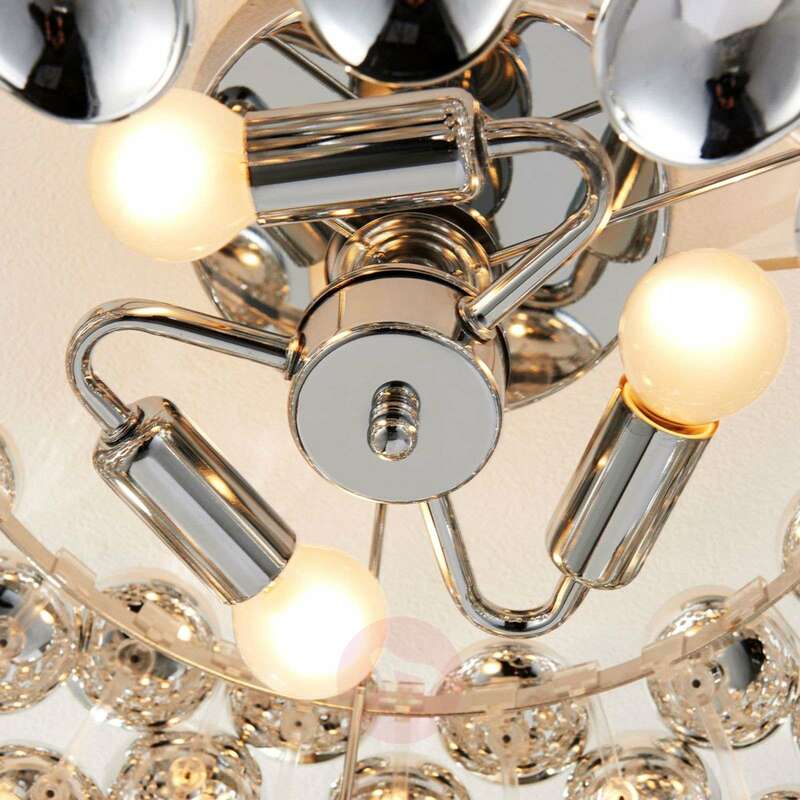 The ceiling lamp does not feature a conventional closed lampshade; instead it is made up of numerous round parts, which come with a high-gloss chrome finish on their front and backs. 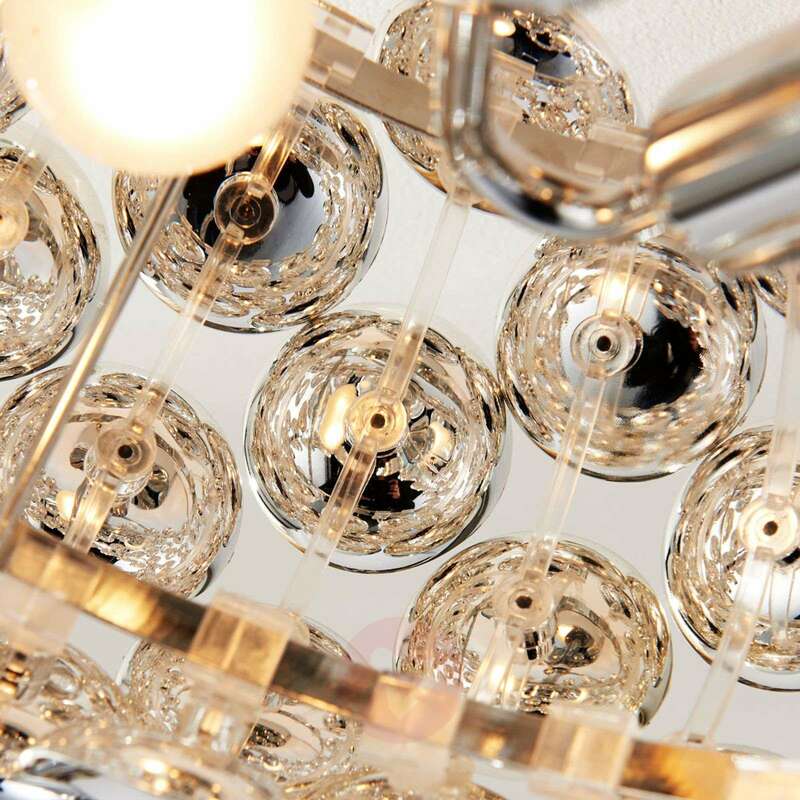 The result is not just cool elegance with modern style; it also serves to create numerous light reflections, which sparkle and glitter with great effect. 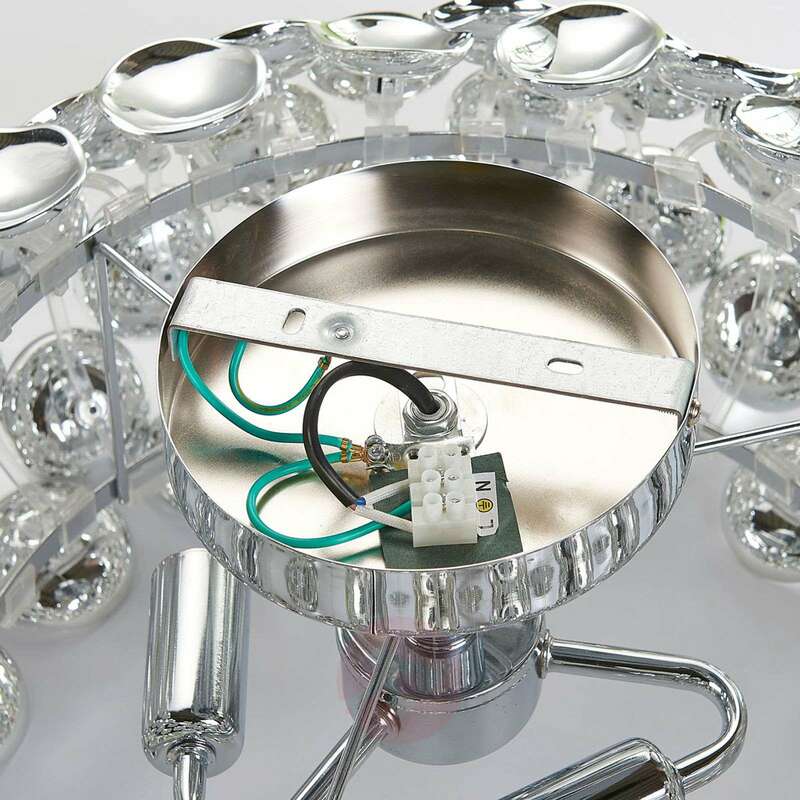 The light can also escape directly in certain places – namely through the gaps between the chrome-plated discs – creating a colourful pot pourri of different light effects. 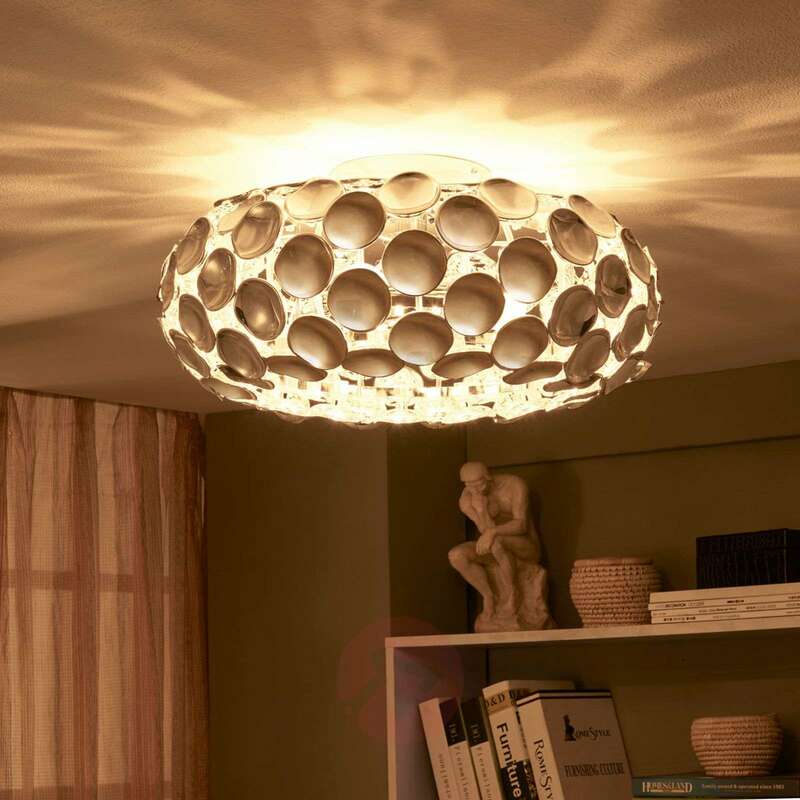 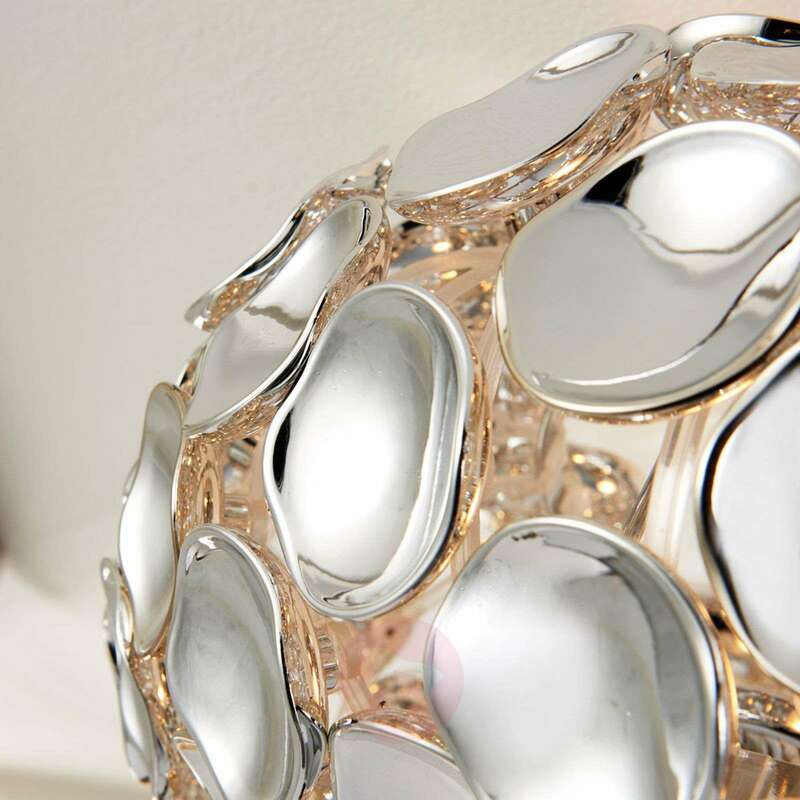 The Reza ceiling lamp can be integrated into many different parts of the home. 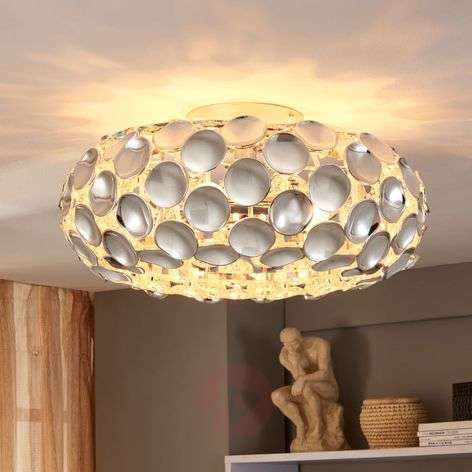 It looks great in the living room and dining room; but also offers good lighting in the bedroom or hallway.